An animated version of the dystopian Dark Knight Returns is rumored to be in the works at Warner Bros.
Frank Miller's Dark Knight Returns is one of the most intriguing and beloved Batman stories of all time. The four-issue comic book series first released in 1986 goes into the dark future of Gotham City, where nearly every superhero has given up the ghost (other than Superman), and Batman is forced out of retirement in his mid-50's. The tale may soon become more than a graphic novel, with rumors hinting that it could go animated. Bleeding Cool reports that multiple sources are saying Warner Bros. is working on a movie adaptation of Dark Knight Returns. As Christopher Nolan has pretty much taken over when it comes to the Dark Knight on the big screen, this adaptation will be animated in the same vein as All-Star Superman. However, before Dark Knight Returns, Warner Bros. will release an animated version of Miller's Batman: Year One, the author's take on how Bruce Wayne came to be Batman. Dark Knight Returns is still in early development. 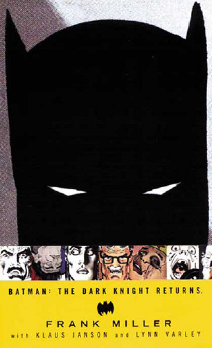 Veterans of previous animated Batman projects are said to be involved with Dark Knight Returns, though nobody specific has been confirmed yet. If the feature is eventually made, it'll be one of the grittier and darker tales to be animated from the Batman franchise.